Most days, you probably want visitors to feel welcome and secure in your home. But one day a year, it's fun to scare the dickens out of them - so make the most of Halloween and all the good-natured frights that come along with the spookiest of holidays. * Know your audience. It might be a good idea to match the level of scary in your Halloween decorations with the age of the children you expect to come trick-or-treating. For younger children, think fun. Older kids might appreciate a good scare. * Choose a theme. 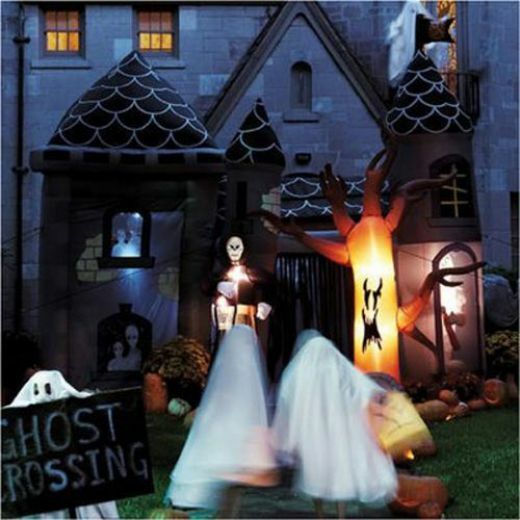 Halloween is the perfect holiday for creativity, so when it comes to the front yard, don't limit yourself. Decorations that center around a theme are the most impactful and will delight children when walking to your doorstep. You could choose something as simple as a graveyard theme, leading visitors through a path of gravestones and creaky gates, with zombie decorations for good measure. Or use ideas from your favorite scary movie. 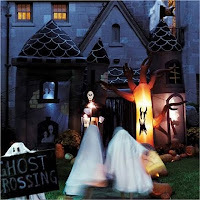 If you need ideas, try browsing outdoor Halloween decor at online retailers like http://www.seventhavenue.com/. * Direct traffic. Now that you've chosen a theme, think about how you want your guests to experience it, beginning with the sidewalk and ending with your front door. For example, if you went with a Dracula theme you could lead your visitors to the front door with lights that resemble chandelier candles. Solar lanterns could also be used to light the path, as they won't leave you burning through batteries or electricity. Well lit signs could also be used to lead visitors through a scavenger hunt through your front yard. * Dress the part. To make your theme really work for you, wear a costume to the door that goes along with it. It's a great way to get in touch with your inner child and to thrill the kids in your neighborhood. * Safety first. While it's great to create the scariest yard on the block, you should also make sure it's safe. Walkways and hazards like ponds or stairs should be well lit. * Get help from nature. The trees in your yard make a great place to hang spooky decorations. Use old grass clippings to give a spookier feel to zombies and gravestones. You can use leaves as stuffing paper for bags and figurines, filling them with life. * Treats matter. We all know the number one reason kids look forward to Halloween is the bounty they'll bring home from a long night of trick-or-treating. Considering that everyone else will give out candy, make your house more memorable by giving a toy related to your theme. Or, give glow bracelets that are not only fun but will also keep them safe by making them visible in the dark.